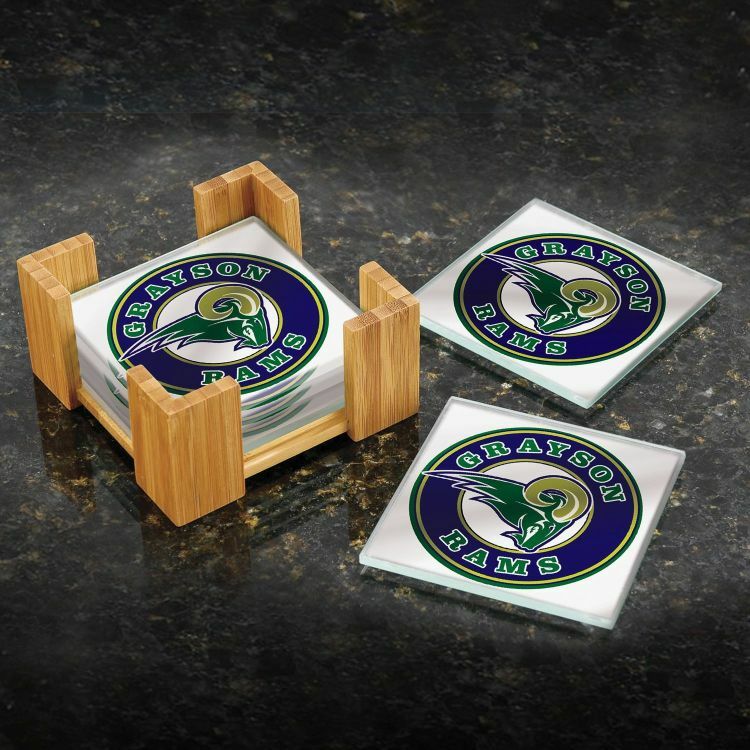 Six glass coasters nestle into a sturdy bamboo stand when not in use. 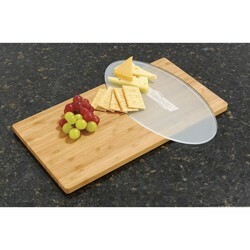 Functional and attractive, the use of Bamboo makes this a Green gift option. Price includes same imprint on all coasters. Bamboo does not require the use of pesticides due to its natural antifungal, antibacterial properties. It is rarely attacked by pests or infected by pathogens. Bamboo is a grass that is capable of producing large, tree-like woody stems. Unlike trees which are killed when harvested, bamboo sends out shoots so it doesn't need replanting. During peak growth periods, bamboo can grow from one to three feet per day. Bamboo reaches maturity within seven years - much more quickly than most tree species. 4.625" x 2.375" x 4.625"